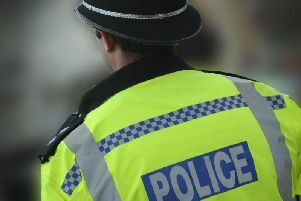 A 16-year-old boy has been arrested in connection with an attempted murder. Police are still hunting two Horley men. Officers were called to Potters Way, Reigate, shortly before 1.30pm on January 29 following reports that a man had been stabbed, said a Surrey Police spokesman. The teenager was arrested on Sunday (February 10) in Eastbourne. The police spokesman said: “We would like to thank everyone who has shared our appeal so far. Officers are still trying to trace Horley men Jack Williams, 27, and Cary Searle, 19, in connection with the ongoing investigation. “The victim, an 18-year-old man from Redhill, was taken to hospital with serious injuries. He has since been discharged from hospital. “If you have any information about their whereabouts, call us on 101 (999 in an emergency) or http://surrey.police.uk/TellUsMore quoting reference PR/45190010304.